The deicers do, however, depress the freezing point of water. This action normally increases the number of freeze/thaw cycles that water goes through, which in turn can increase the potential for concrete scaling. Each time water in concrete freezes, it expands approximately 9%. 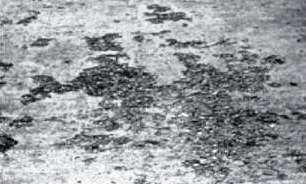 The resulting hydraulic pressures can exceed the strength limits of the concrete, causing pitting and/or scaling. The greater the number of freeze/thaw cycles water goes through within concrete, the greater the potential for concrete damage. So why is calcium chloride preferred over rock salt? 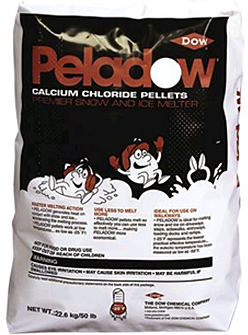 Calcium chloride pellets are the fastest acting deicer at all temperatures down to -25ºF. Rock salt provides adequate, economical performance at temperatures at or just below 32ºF. As temperatures drop below freezing, rock salt’s ice-melting performance slows substantially which can cause freeze-induced expansion pressures by increasing the number of freeze/thaw cycles. Why do certain slabs of concrete react differently to the same amount of rock salt and freeze thaw cycles? Concrete pavers are concrete, how come rock salt does not affect them? Concrete pavers are made with high strength concrete. Technically, to be considered a concrete paver, the concrete must achieve 8,000 psi by the time it is sold. At 8,000 psi the concrete does not absorb much water at all resulting in no water freezing and expanding within the paver, no spalling and no damage. So what do we do to prevent scaling (the result of weak concrete and freeze thaw cycles) without having to pour 8,000 psi concrete? Nassau County Class “A” mix tests out at approximately 4,300 psi and has an adequate amount of air entrainment. 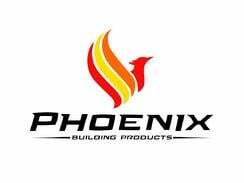 Class “A” mix when poured with the correct water ratios and admixtures, specifically entrainment, will have minimal water absorption and greater resistance to expansion. The higher strength concrete reduces the water absorption and the air entrainment creates little air pockets within the concrete that acts as cushioning during the slight expansions the concrete may experience. In addition, a penetrating sealer can be applied to concrete after it is poured to seal the concrete without changing the appearance. This will prevent water absorption and expansion when the water freezes and increase resistance to staining. Read this blog here to determine which deicer is most suitable for you. Contact us for your winter deicing product needs.